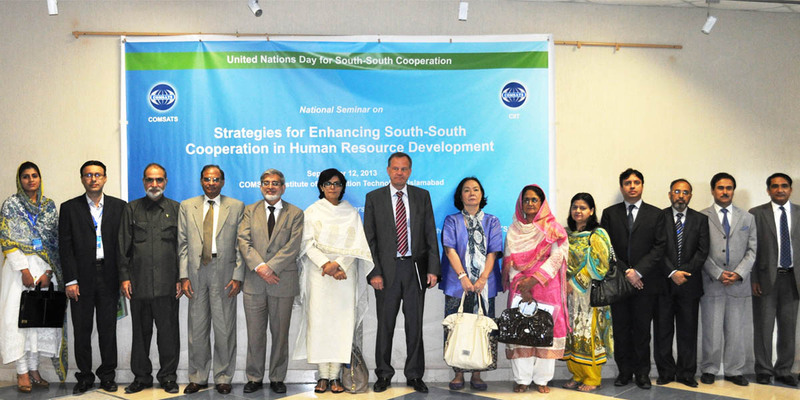 The Commission on Science and Technology for Sustainable Development in the South (COMSATS) organized a Seminar on Strategies for Enhancing South-South Cooperation in Human Resource Development, on the United Nations Day for South-South Cooperation, September 12, 2013, to express solidarity with the world community and promote the cause of South-South Cooperation. 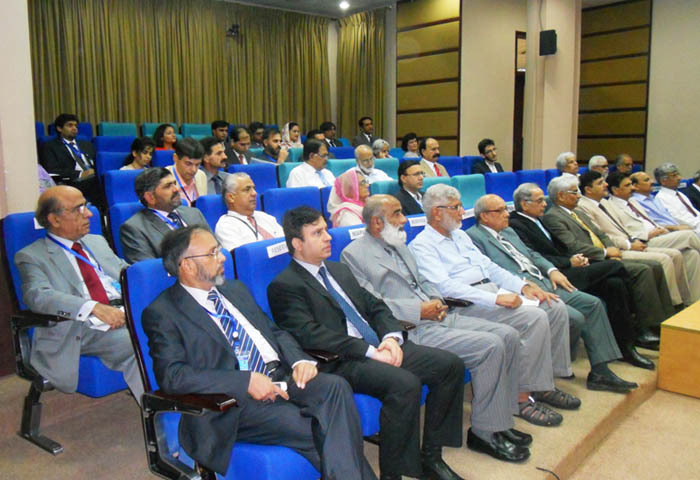 Held at COMSATS Institute of Information Technology (CIIT), the event was participated by officials from UN agencies, government bodies, civil society and academia, as well as students of CIIT and media personnel. 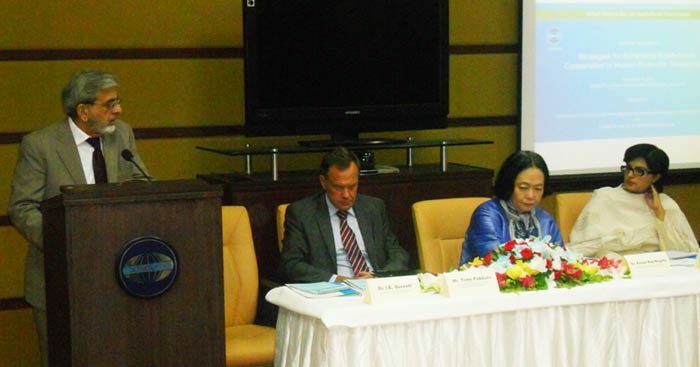 The UN Resident Coordinator and UNDP Resident Representative in Pakistan, M r. Timo Pakkala, graced the occasion as the Chief Guest for the event. In his inaugural address, Mr. Pakkala opined that the developing countries have assumed a greater role in the global development landscape, and the emergence of the South as the rising centre of economic growth provides immense opportunities for the developing countries to learn from each other’s experiences and best practices. “The UN System in Pakistan,” said Mr. Pakkala, “stands ready to serve as facilitator and knowledge broker to promote exchange of knowledge and experiences across the developing world”. He noted that the combined economic output of three leading developing countries alone, Brazil, China and India, will surpass the aggregate production of Canada, France, Germany, Italy, the United Kingdom and the United States by 2020. By 2030, more than 80 % of the world’s middle class will live in the South and account for 70 % of the total consumption expenditure, he added. Welcoming the participants of the seminar, the Executive Director COMSATS, Dr. Imtinan Elahi Qureshi, stated that COMSATS has held this event to be a part of the worldwide observance of UN World Days, and hoped that the event would help promote best practices for South-South cooperation. Dr. Qureshi mentioned close cooperation between COMSATS and UNESCO through the office of Pakistan National Commission for UNESCO (PNCU). He expressed his desire to cooperate with UNESCO Headquarters directly or through UNESCO institutions, such as ISTIC (Malaysia) and ST&I Policy Centre (China). 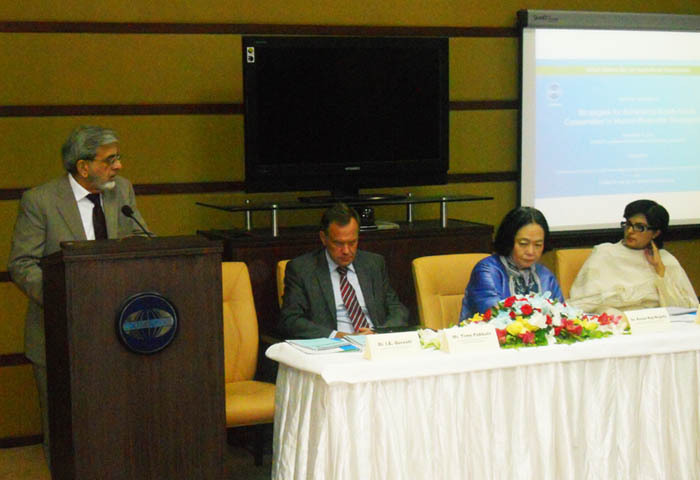 He highlighted various programmes and initiatives of COMSATS that are aimed at fostering South-South cooperation in science and technology in its 21 Member States, especially through 18 international S&T Centres of Excellence, whose heads meet every year providing these institutions an excellent opportunity for sharing and exchange of expertise and knowledge. He stated that COMSATS’ International Thematic Research Groups are also encouraging joint research projects based on common needs of the group member institutions, hailing from different developing countries. Other highlights of the inaugural session were the keynote addresses delivere d by the Director of UNESCO in Pakistan, Dr. Kozue Kay Nagata, and the President Heartfile, Dr. Sania Nishtar, who also served as Federal Minister for Education & Training, Science and Technology, Information Technology and Health, in the recent interim government of Pakistan. In her talk, entitled ‘Recent Trends in South-South and Triangular Cooperation’, Dr. Nagata expressed that South-South cooperation is now widely recognized as a key mechanism for development, which has certain advantages, such as fostering of economic, scientific and technological self-reliance; development of appropriate technology, regional human resources and skills better adapted to the local needs and cost-effectiveness. She opined that Pakistan as a developing country shares responsibility for promoting and implementing South-South cooperation, not only as a recipient of support from traditional, and Southern and emerging donors, but also as a service provider to other developing countries. Dr. Nishtar in her address, entitled ‘Some Insights into Collaboration’, considered Human Resource Development very crucial for the success of reforms. She also considered it important to have South-South cooperation in health sector as there is great commonality between the issues faced by the developing countries. She advocated for transparency and accountability within Pakistan for any social and development reforms to be fruitful. She believed public policy decisions should be based on observation of trends, latest data, and expert analysis. The event included some insightful presentations and speeches on seminar theme. These were: ‘South-South Cooperation in Higher Education’ by Prof. Dr. Mukhtar Ahmed, Executive Director Higher Education Commission of Pakistan; ‘Research, Innovation and Entrepreneurship: Route to Economic Development’ by Rear Admiral (R) Muhammad Mushtaq, Advisor at Bahria University, Islamabad; ‘South-South Cooperation for Human Resources in the Field of Telecom and Power Engineering’ by Prof. Dr. ZahidSaleem, Faculty of Electrical Engineering, Federal Urdu University of Arts, Science and Technology, Islamabad; ‘Contribution of Academia to Human Resource Development in South Asia’ by Dr. Aurangzeb Z. Khan, Principal Research Officer, CIIT; ‘Revisiting South-South Cooperation for Post 2015 MDGs’ by Dr. Vaqar Ahmed, Deputy Executive Director, Sustainable Development Policy Institute, Islamabad; ‘South-South Cooperation in Human Resource Development: Opportunities for Pakistan’ by Dr. Tariq Mehmood, Director General, Pakistan Technology Board, Pakistan Council for Science and Technology, Islamabad; and ‘COMSATS’ Role in Promoting Science-led Sustainable Development through South-South Cooperation’ by Mr. Tajammul Hussain and Mr. Nisar Ahmad, COMSATS Headquarters, Islamabad. Each talk was followed by brief Question and Answer sessions during which the participants inquired the speakers about various issues related to the aspect of South-South cooperation covered by them. The event concluded with a resolve to strengthen South-South cooperation ties among the developing countries. Consensus prevailed during the event to optimally utilize the mechanism of South-South cooperation. Strategies, in this regard, need to be reassessed and future goals updated. It was noted that the potential of the developing countries in the form natural and human resources needs to be duly tapped, and cooperative mechanisms among these countries can facilitate the process.